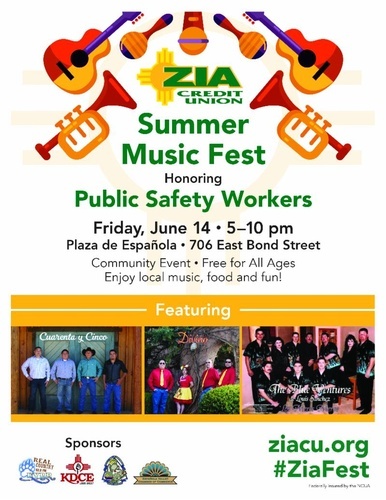 Zia Credit Union's Music Festival is set for June 14, 2019 on the beautiful Plaza de Espanola. If you or your business would like to participate please contact the Espanola Chamber of Commerce to sign up. As a participant you will need to provide your own table, chairs, lights and canopy. If you would like to sell food, a permit is needed through the City of Espanola. Cost for Chamber members is $100 and $200 for non-members to showcase their business. Call 505-753-2831 for more info.